Hey, I do personally agree with this idea. Especially when your cargo is worth 88k but you only get 40k because of rammers. Happy New Year all! Hope you all had a fantastic one! I'm afraid none of these options have helped me... I'm honestly stumped on what to do. I personally like them both. I tend to swap them out once in a while so I get to drive different ones. Hey all, I've just seen the post about the restricted area for Double Trailers. Does this mean doubles are allowed in the UK? 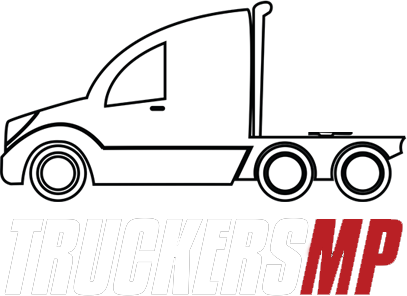 For me - my best memory of TruckersMP was when I did my first convoy with a bunch of random drivers. I honestly found it fantastic that there are some amazing people. Also - I actually made some new friends thanks to this mod! Remember everybody - If you're from the UK. Do remember to make sure your pets have lots of water and don't take them out until the weather cools down. Tomorrow (Friday 27th) is hitting a high of 37 maybe even 38! If you do go out, make sure you have LOTS of water with you! I feel like if there were different types of Caravans in the game, it would add a nice piece of variety to the game and it would make it better. For me, the trailer is a odd one BUT - It does look very nice to drive with if I'm honest. Suggestion Name: Better sounds for the cars Suggestion Description: When I'm driving in the car in TMP, the sounds are, somewhat a little bland Any example images: N/A Why should it be added? : I feel like this should be added because it can give a bit of a variety to the sounds that we hear when the cars go past. And maybe, the car horns can be changed a little bit as well?